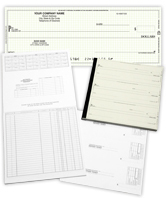 Personal Checks - 2,500+ Original Designs + Free Shipping! Business Checks - Bank Approved. Guaranteed. 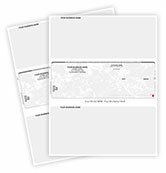 If this is your first time ordering checks from our website, welcome! If you're a returning checks customer, you may notice some changes. For more than a decade, we have been committed to providing you with high quality business checks and supplies. 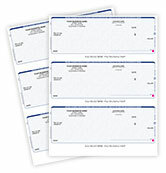 In 2010, we expanded our horizons and began offering a wide variety of personal checks. We are a checks manufacturer which allows us to make ordering fast, easy and cheap while maintaining the bank quality you are accustomed to! 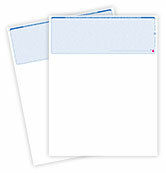 We're very excited to offer you 2,500+ exclusive designs available in top tear and side tear format checks as well as matching address labels and leather / cloth checkbook covers! What's great about our personal checks is the fact that they're 100% Original! All of the images featured on our personal checks come from our photographers and graphic artists. They are not stock photography. The only place you'll find these vibrant, colorful designs is right here. We are proud of the reputation we've developed for providing our customers with laser and manual checks. 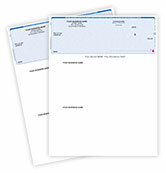 It's our goal to be the online destination for businesses large and small when it comes to their checks needs. Since 2001, all orders have been 99% on time and 99.9% error-free! You have enough to worry about. That's why we work hard to make sure when you order checks, it's a worry-free experience. 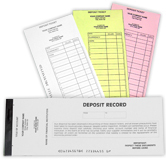 Order from from us and you'll never have to worry about banks approving the quality of our checks. We guarantee our checks will process through every bank and meet or exceed all American Banking Association security and fraud protection standards. When you order from us, you're ordering from a company you can trust! We want to be your checks vendor for life. That's why we promise satisfaction, on-time delivery, security and privacy. Read more about it in our Guarantee. 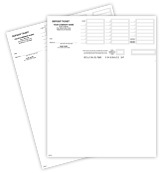 Rest assured that every order of checks is hand-checked by expert print professionals. If you find something wrong with your checks, let us know as soon as possible and we'll make it right! Have questions or concerns? Call us toll free at 1-888-657-9758, or email sales@checkadvantage.com.